If you are looking for external concrete in Harrogate for any application then Concrete4U will be able to help, we have done jobs from driveways to level crossings to farm yards and all with top quality material and excellent service. 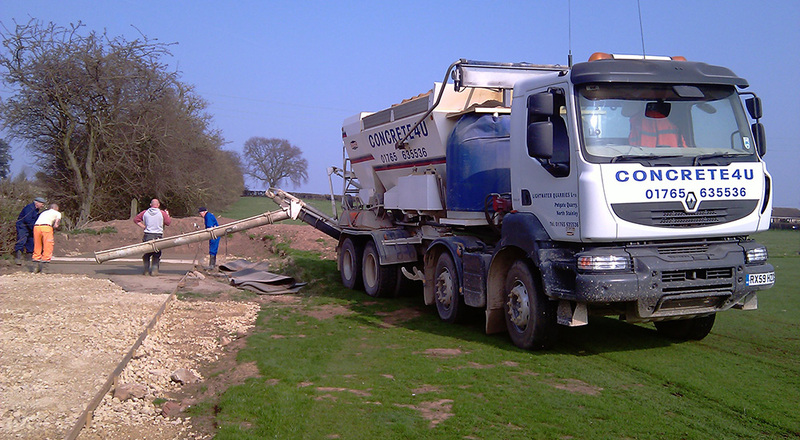 We are fully BSI accredited which means our concrete is quality assured and our highly trained drivers and mobile batch operators really know their stuff…we can help with anything from mix design to advise on laying your concrete. If you have a look at our frequently asked questions page there is information available on laying concrete and for advice on the day our drivers will do their best to answer your questions. 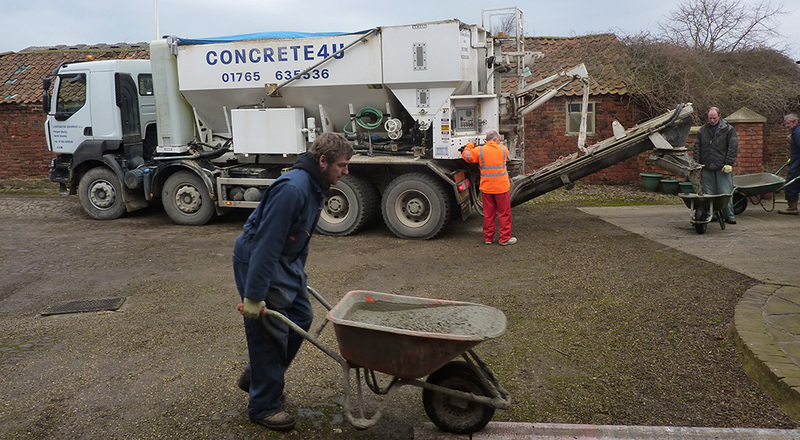 We can provide concrete for external applications and help you decide mat type of concrete is right for you as external concrete needs to be strong enough to cope with whatever the British weather throws at it and with our 3 mix on site wagons and mini-mix drum we are sure to find the right solution for you.